One of the bummer limitations of my diet is that I can’t eat eggs. Well, I can, of course, but if I do I will develop a sore throat that usually turns into congestion and a full-blown cold. Isn’t that weird? I feel like it’s really weird. But it’s one of the things that triggers inflammation in my body, so it was one of the first things to go. Eggs have been the most challenging thing to avoid, by far. And not just because I love a nice fried egg in the morning (which is exactly what I ate for breakfast for years), but because they are so vital to baked goods. I’ve been able to find replacements and work-arounds for wheat and gluten, dairy, corn, soy, and sugar. But take eggs out of a favorite recipe and you get a dramatically different result. So when I find a good egg-free cookie, I grab hold of it and never let go. Well, more accurately, I do let it go… right into my mouth. After tinkering with this recipe a few times, I’ve made it my go-to. I always have these ingredients on hand and these cookies have proven to be a relatively quick and easy dessert to whip up and bring to a social gathering. 2- In a ramekin or small bowl, mix flaxseed meal with lukewarm water to make your flax “egg.” Set aside. 3- In a medium bowl (I used the bowl of my mixer), cream oil and sweeteners, then add the milk and vanilla. I like to warm the milk a little so it doesn’t solidify the coconut oil too much. 4- In a separate bowl, mix flours, baking soda, baking powder and salt. 5- Add the flax egg and then the flour mixture to the wet ingredients in your mixer bowl. Mix or stir until combined, then fold in the chocolate chips. 6- Scoop out the dough by tablespoons and place onto a baking sheet lined with parchment paper or baking mat (or ungreased cookie sheet). These cookies do not spread when baking, so flatten them as much as you like before baking. I roll them into balls and then flatten them a little with my hand. Sprinkle with sea salt. 7- Bake for 9 to 12 minutes (but watch them closely! Start checking them at 8 minutes just in case). Try not to move them until they are cooled or they will fall apart- trust me. So there you go. Hopefully you will enjoy this recipe as much as I do. It took me 3 or 4 attempts to get it to this point, so it’s possible that I will discover ways to make these cookies even better, in which case I’ll need to come back and update this post. *I also want to note that if you are looking for a good store-bought allergy-free cookie, check out Enjoy Life. They have soft and crispy cookies that are like manna from heaven for an allergy person, and I love to keep them in my pantry for those times when I don’t have anything healthy on hand or I have just experienced an allergy-free recipe fail and need to bite into a yummy cookie. 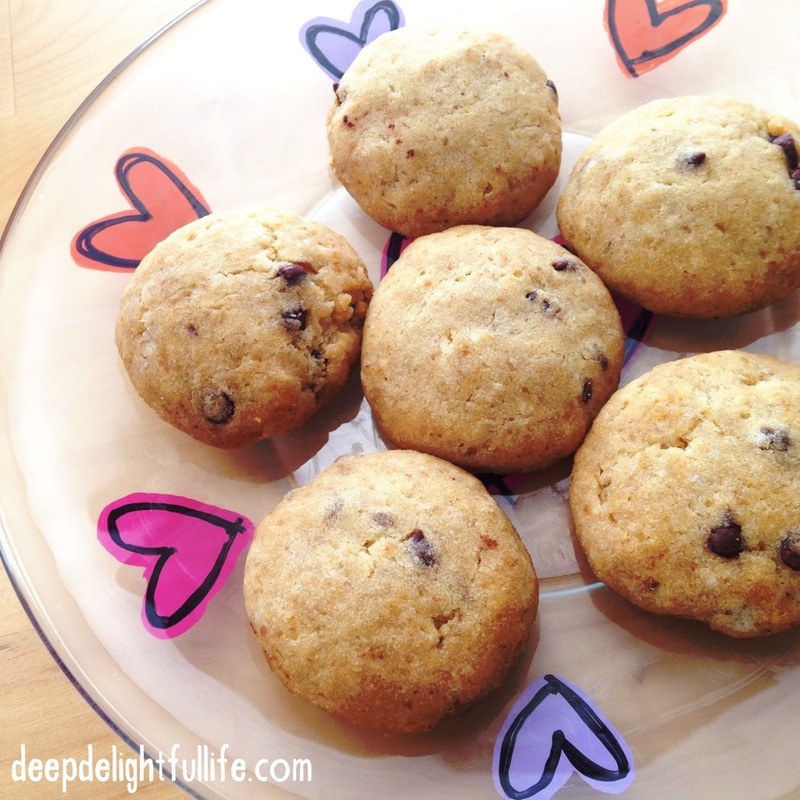 Do you have a favorite “alternative” or allergy free cookie recipe? If you try these cookies and have any questions or tips, please leave me a comment.